Max Mosley's suggested cancellation of the February meeting regarding the McLaren 2008 car has now been accepted by the FIA. Presumably, this means that the unsavory saga of the spy cases is over and it can recede into history, only to be resurrected when F1 fans need something to argue about during long, uneventful off seasons of the future. So great is the relief at this conclusion that it may seem curmudgeonly to say anything more - yet the Renault transcript, released only yesterday, deserves some form of comment, surely. 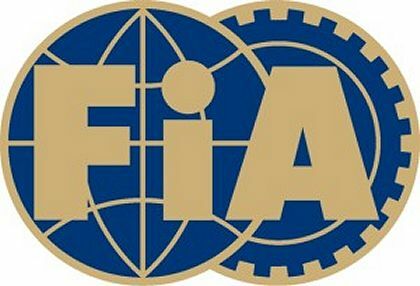 And there is evidence that the FIA learns from its mistakes; the transcript is in PDF format once again but is created by the use of scanned images so that no copying and pasting is possible. The redacted parts stay redacted! I could mumble something about OCR (optical character recognition) software but that still won't let you see the secret bits and, besides, let's not confuse the powers that be with too much basic IT technology at a time. The transcript also highlighted the role FIA president Max Mosley played in the hearing, such as when he stopped McLaren lawyer Ian Mill from asking Mackereth if one of the drawings could have been used for the design of Renault’s 2008 car. "If we become engaged in discussion as to whether a schematic drawing can inform about the detailed design of a pump, we are not using the limited time we have very constructively," Mosley told Mill. It is hardly necessary for me to add that this could be a very important point in ascertaining any use of the information by Renault. But, no matter, the decision has been made and Renault remain in the sport, much to everyone's relief, I'm sure. There is only the outstanding business of the FIA's libel case against Martin Brundle to keep us amused until the beginning of the 2008 season therefore. Which brings to mind the phrase "witch hunt", interestingly enough a matter that was debated at various junctures during the McLaren hearing, thereby foreshadowing the decision to press charges against Mr Brundle. I have promised myself not to bore my readers with a long comparative dissection of both hearings but let me instead just quote from them both. Just to see whether we get a "feeling" that there is some difference in the way the cases were handled. "The findings of Renault's preliminary inquiry were that no dissemination beyond Mackereth had occurred. This had been Mackereth's evidence at the time. The various internal and external investigations, very much assisted by McLaren, demonstrate that this initial position was incorrect. Renault accepts this and its various witness statements produced after these initial findings have clarified the position." The similarities to the McLaren case multiply almost to the point of disbelief. i would have thought you'd bring attention to the lack of recollection any member of the renault team has about any event prior to september '07. you'd imagine that a championship winning year would be at the forefront of their minds. for me, amnesia is the most important thing i took away from the hearing transcript. a hell of a defence for future misdemeanours, leave no trail / remember nothing. It is a well worn cliché that schooldays are the best days of our lives. As a schoolboy, I disagreed, feeling that nothing could be worse than the torture we were subjected to, but now I must admit that there is truth in the saying. I wonder if, at some time in the distant future, Ron, Max and Flavio will look back on this year and chuckle with glee at the mischief they got up to...? Sidey said: amnesia is the most important thing i took away from the hearing transcript. I don't know where you live Sidey but here in the USA we've got a CLINTON running for President and these words fit her perfectly: "I don't recall", "I don't remember", "I didn't know". Another incompetant liar just like her husband and she could be elected 'leader of the free world'. Sorry for the political rant but your words fit so well and my words can be considered a warning of what's coming !!! "Sorry for the political rant but your words fit so well and my words can be considered a warning of what's coming"
Primary school and sixth form were the best days of my life. Secondary school were about the worst. I can't see time changing that particular analysis very much. I was very fortunate in having some of the best teachers in existence in secondary school, Alianora. In fact, I wrote about one of them in my personal blog, a little piece entitled (insert gratuitous self-promotion here) Thank You, Johnny, Wherever You Are. Bill lied but people didnt die. Bush lies and people die. I can live with a lying president as long as things get done, politics is a dirty game. You are right about Hilary though, I can only hope for 4 years of Obama-nation. Well in that case, Hilary for FiA president! Bill got caught cheating and he was never punished! Imagine for one minute that Ron Dennis and Martin Whitmarsh accompanied by a couple of technical people who it could be proved had seen Ferrari data stood at the WMSC meeting and said 'I don't remember' from start to finish. I have a feeling Max would have hammered them for withholding evidence. Do any of you understand what the hit count refers to. I couldn't believe that Mackereth said that a file didn't have to be opened to generate a hit. It could be mentioned in a Word document. So they have a McLaren file which has either been opened or mentioned in a document 580 times. Unless there is some other explanation that is incredibly suspicious. I know Max was in a hurry to wrap things up but here he has a piece of evidence which may prove the file has been opened or discussed over 500 times. Surely worth waiting for an explanation. That's an interesting point about the hit count, Steven. As far as I'm aware, a hit is a call by the computer for a particular file (Mad can correct me if I'm getting this wrong). So, if a search engine robot calls at my blog, looks quickly at the front page, and then leaves, it's a hit. If, however, it picks one of the many links on the page and follows it (to Contents, for instance), that's two hits it has registered. In fact, such a robot generates many hits when it visits because it glances quickly at all the links on the page and each glance is a hit. The business about hits in Word documents is nonsense unless there are links to the file within the document - only then can the document generate hits on the relevant file. Mackereth makes the point that he has other files on his computer that generate a lot of hits, even though he doesn't access them much. If the computer is not open to the internet (in which case SE robots could generate hits but I seriously doubt that it can be, if Renault want to support their contention that Mackereth's files were not accessible to others), the only way this could happen is if Mackereth commonly accesses files that contain links to the files with many hits. He won't see it happening and so will be mystified that these files receive so many hits. So, if it is claimed that the high number of hits on the famous graphic file is caused by its presence in some Word documents, it must be present within those documents as a link. Which raises a couple of questions. Why, if this file is so little regarded, is it necessary to link to it from another document? The only reason to link to it would be to enable the reader to access the graphic file quickly and so see its relevance to whatever the Word document is about. And why is the Word document accessed frequently enough to generate so many hits on the graphic file? It would seem that the file was more important and useful to Mackereth than he is admitting. Was any study made of whether the Word document(s) spread beyond Mackereth's computer? If he sent copies of it to anyone, they have a link to the graphic file on Mackereth's computer - and now we need to know to what extent that computer is firewalled off from the rest of Renault's system. It is clear from the transcript that nobody in the room understands anything about computers. What the heck are they doing deciding important issues without expert help to explain to them the importance of such technical evidence? To call their approach amateurish is to put it mildly. They refered to the file appearing as a string in a Word doc. I assume this is the same as a link. The Word doc was hypothetical as it was only given as a possible explanantion. Max was too confused about the technology so moved on to something else when Mackereth made a bumbling explanation of what he thought a hit might be. If I had been in Max's seat the alarm bells would have been ringing. How can a document that no-one else has access to and which Mackereth says he barely looked at run up all those hits? It all looks very fishy to me, Steven. I am no computer expert but have picked up some basic knowledge of how they work through using them for the last dozen years or so. Even that is enough to make me want to know more about this fabled Word document and why it should contain any reference at all to a graphic file that Mackereth says he never used. My first instinct would be to find a techie who knows about these things and ask him about hits and how an unused file could pick up so many of them. Far, far too many questions, yet Max asked none of them. The other possibility that comes to mind is that Renault may have an automatically-updating company intranet (an internal network to allow people to easily access the organisation's electronic information). I have no idea whether Renault actually has one or not, but one of the big problems of standard intranets is updating them. If Renault have a system that uses SE-style automated searching, it could explain a lot. The system would make a link into the intranet (probably some deep dark corner of it, given how many files must surely be on the Renault F1 network). At this point, not only would Mackareth have no idea that the link had been made unless he stumbled upon it, but it would be nigh-on impossible to manage. All it would have taken would be a few junior staffers thinking to improve their knowledge and suddenly everything makes sense. Interesting thought, Alianora. But that would mean that Mackereth's computer was open to the Renault intranet, in which case the file would not have been walled off from possible access by others. And I think their case rests heavily on the belief that Mackereth's files were not available to other Renault employees while on his computer. There was no evidence in the transcripts that excluded the possibility, but I agree with you about Renault's case depending on the intranet not being able to access Mackareth's personal storage area (and the implication that it was unlikely to be the case). Then again, this is the sort of gap that will exist if you insist on rushing a case. True, Alianora. And haste is the dominant impression one gets from all of the transcripts - Max was eager that things be dealt with as quickly as possible, even bringing in the fact that delegates had planes to catch in one of them. Good evening. Of all noises, I think music is the least disagreeable. I am from Cape and learning to write in English, please tell me right I wrote the following sentence: "Call our seo agency at to increase roi today.Majestic seo is a link analysis tool, with an index of billion pages, a record of unique urls and."